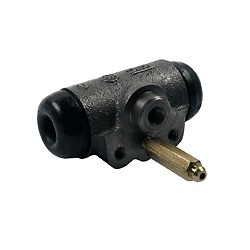 We distribute an extensive selection of FORKLIFT WHEEL CYLINDER parts for all makes and models. We ship directly from various warehouses located all over North America to provide the fastest shipping at the most affordable prices. One of the crucial systems that one should pay attention to is the braking system. A malfunctioning braking system can lead to injuries and damages on the work site, thus a comprehensive check should be made at all times, covering all of its components. Specifically, not only checking the most obvious braking components but also the smaller braking components such as the brake wheel cylinders. 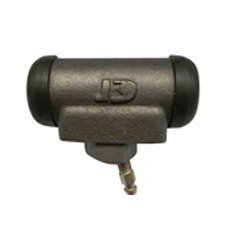 The brake wheel cylinders are part of the drum braking system and are normally fitted into each wheel of the machine. The main role of the cylinders is compressing the brake fluid, forcing the brake shoes outwards, against the brakes. 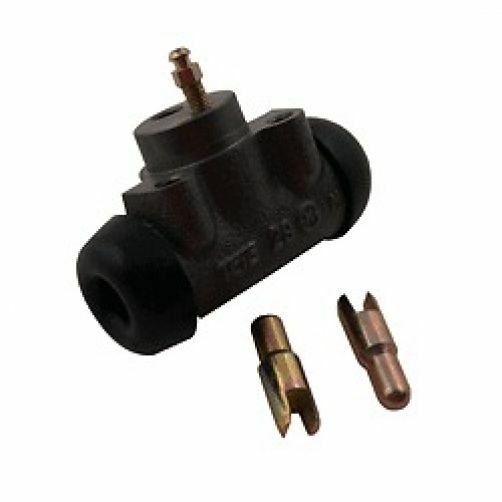 In other words, it provides force into the shoes to connect with the drum and in the process help make the forklift stop via friction. 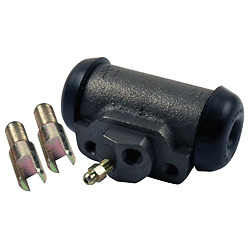 Without these parts, the braking capacity of the forklifts will be affected and may cause the forklift to not stop. Since the brake wheel cylinders are known for their efficient roles in stopping the forklifts, one must ensure that it is cared for. Observe for any leaks in the wheel cylinder because it is a common problem. There will be times when the o-rings wear out and the brake fluid can seep outside of the cylinders. Other common problems that may plague the brake wheel cylinders include noises from the brakes and brake pedal touching the floor. To avoid these problems, always get an inspection from an experienced mechanic when the brake-warning light is on. Also, one must have regular inspection on the wheel cylinders at least once a year. Replacing the wheel cylinders can be a daunting task. But, with the right tools it can be easy to accomplish. First, the car should be placed on the jack under the car frame. Once the tires, brake drums and brake shoes are all removed, spray the hydraulic line and fitting with a rust penetration spray. Loosen the hydraulic fitting with a wrench and ensure to plug the line from leaking brake fluids. The fitting and the old wheel cylinder can be taken out at this point. Install the new wheel cylinder and put everything back together. Solid Lift Parts Inc. provides wheel cylinders for all makes and models. Contact your parts specialist today to find you the right part for your specific forklift, right away!